1. Wander into the wild like a modern-day Teddy Roosevelt. 2. 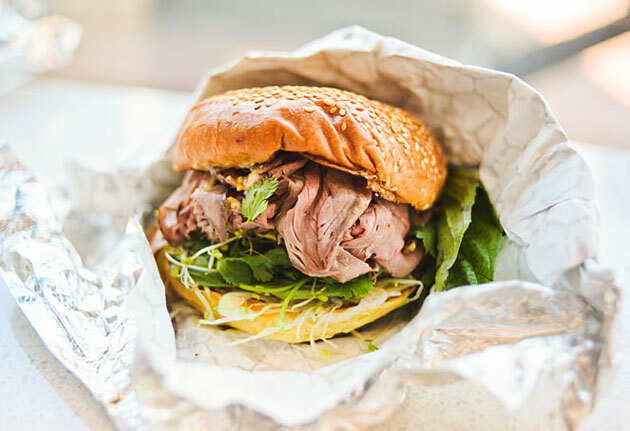 Just head to DC’s latest butcher shop/deli. For the second, there’s Wagshal’s on New Mexico, the gleaming new iteration of the classic DC market, now soft-open. You’re probably familiar with Wagshal’s, which has been dealing in meat and sandwiches since the ’20s. Well, this bigger brother is modeled on markets the owners toured in Spain, so you’ll find white tile, brick and giant windows. Yes, they have the famous Wagshal’s brisket sandwich. Yes, you should sit down and have one, maybe with a scoop of some fresh lemon-agave gelato, or some pickled tomatillos or papaya from the pickle bar. But your main focus is at the counters in the store’s rear. There, you’ll encounter Pam the Butcher, who knows her way around a band saw. She’ll guide you to the case of prime beef, aged at least 28 days, or maybe toward some pork belly or lamb shank. But give her a day’s notice and she’ll round up all manner of fauna—elk, veal sweetbreads, squab, even kangaroo. Take it home in a pouch.